The oldest boat rental company in Amsterdam. Do you want to be able to rent a boat in Amsterdam easily and without any hassle? If so, Canal Motorboats boat rental in the heart of Amsterdam is the right choice for you. We have ten motorboats at our rental office at Westerdok –an extension of the Prinsengracht – each of which is able to carry a maximum of seven people. Canal Motorboats is also able to cater for bigger groups such as company outings, for example. 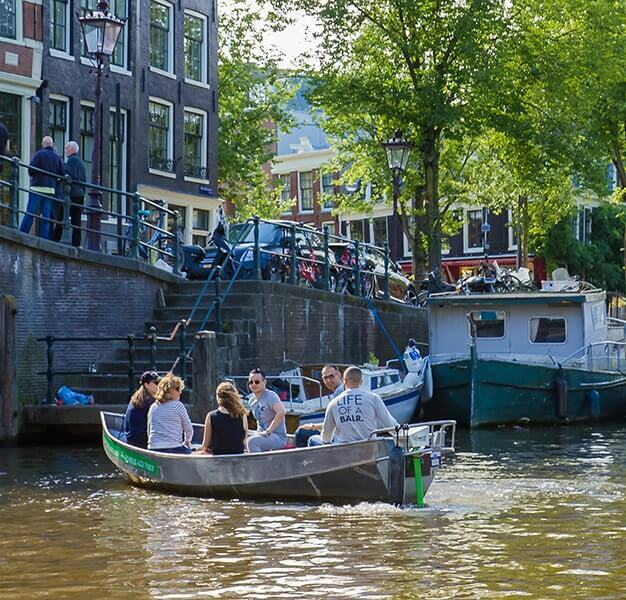 Within minutes, you’ll be sailing off onto the canals and discovering Amsterdam from the water. Canal Motorboats is a boat rental company with a long history. We are a family business and the oldest boat rental company in Amsterdam. Our rental office is situated in a unique location: within walking distance of Amsterdam Centraal station, which makes our business popular with residents of Amsterdam, tourists, and day trippers alike. We are open from 10:00 AM until sunset (10:00 PM at the latest) for boat rental throughout the year. Are you planning an afternoon out with friends, because it’s a public holiday or you have something to celebrate? If so, renting a boat is a great idea. Our boats are 5.5 metres long and 1.80 metres wide, so big enough to carry seven people. They are capable of speeds of up to 6.5 kilometres an hour, which means that you won’t need a navigation licence. After receiving a few instructions from Canal Motorboats, you’ll be ready to head out like the best of experienced captains. 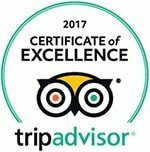 Blankets, cushions, and a free navigation map are all included in the price and are all designed to make your trip a comfortable one.